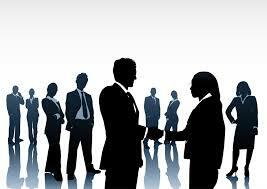 Networking is very much one of the most important aspects of work in many industries. It’s as much about who you know as what you know. As mentioned in Bradwell & Reeves’ book ‘Network Citizens’, the way in which people interact within these networks can have a profound impact on the formal structures that may already be in place. Networking is most definitely not a new concept or activity as we are inherently social people and have created networks for thousands of years. But the rise of networking in recent times with the invention of microelectronics and social communication services like LinkedIn, has meant we have been developing networks more efficiently and on a much larger scale. With these networks comes a shifting dynamic in the workplace. They are often self-organised and informal, which can have a great effect on many aspects of the business such as team building and morale. However, they may also have a tendency to exclude and isolate individuals and groups, leading to the undermining and clashing with traditional hierarchical structures. Working in different environments and with many different people has shown me that networking is a wonderful tool as it can aid in growing relationships and bringing groups of people closer. Although, I do agree that it can be used for more sinister purposes such as the exclusion of others or mutiny (if you’re Marlon Brando). As we become further invested in social media and the barrier between work and home life becomes even more blurred due to technology, I can see networking playing a larger and larger role in how we interact within business settings, as well as in outside contexts. It may only be the second topic that we have taken a dive into, but this week’s look at ‘The Network Society Paradigm’ has definitely had me intrigued. Our communications have taken a great shift from the centralised telegraph office and telephone switchboard, to the more decentralised and distributed networks that we see on the internet. Centralised networks see all information pass through a central (hence the name) hub before being directed to the intended recipient. One of the greatest problems we see with this system is the inherent threat of censorship or watchdog behaviour by those who control the hub. A good analogy was brought up in this week’s tutorial about a telegraph office. If a group of people were communicating through telegraph, the operator has to read and then encode the message so that it can be transcribed on the receiving end by another telegraph operator. This system works fine until there is something that the telegraph operator does not wish to send. They have the power and ability to alter or not send the message at all to suit their needs. The greatest problem that can arise with these networks is the destabilisation caused by an outage in the hub. If there is a problem in the central processing node, the system falls apart as the periphery nodes do not contact each other. Distributed networks operate on the principle that all nodes are created equally and that the flow of information is even across all parts. 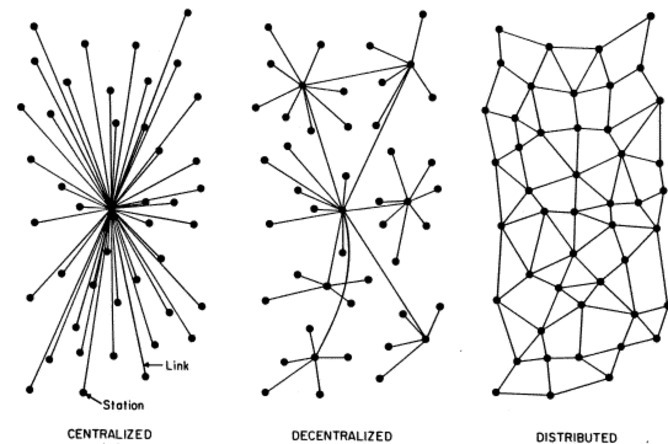 There is no central hub for the distribution of information, and all nodes in the network have the ability to connect with each other. The advantage of this is that if one node goes out the system remains fully functional. The only way to completely close the network would be to destroy every single component. The Pirate Bay is an excellent example of this, authorities may try to close down the website, but due to the distributed nature of the network it can’t be completely destroyed. Like a Hydra, for every head to cut off, two more appear. I hope this has make these ideas a little clearer with the use of the graphic and examples. 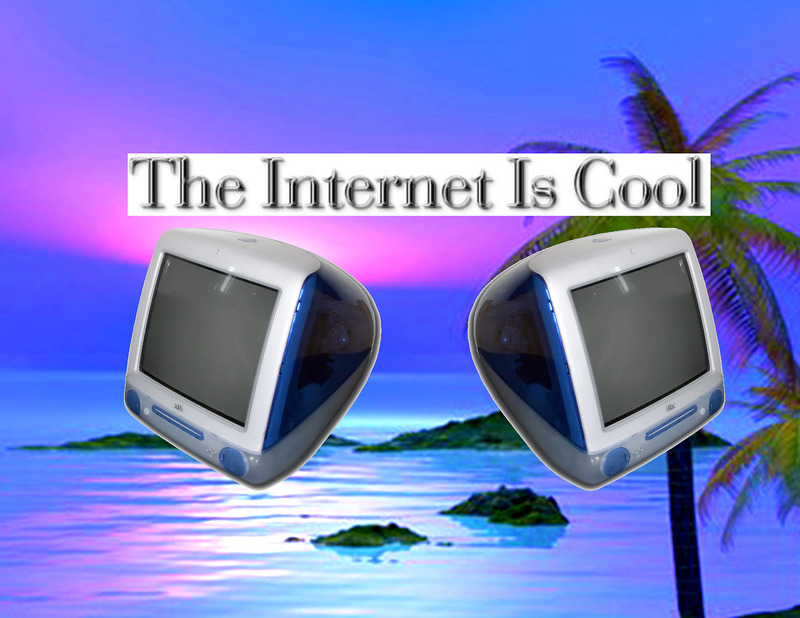 What a time to be alive, it’s amazing to think about how far human communication has come in the past 200 years or so. 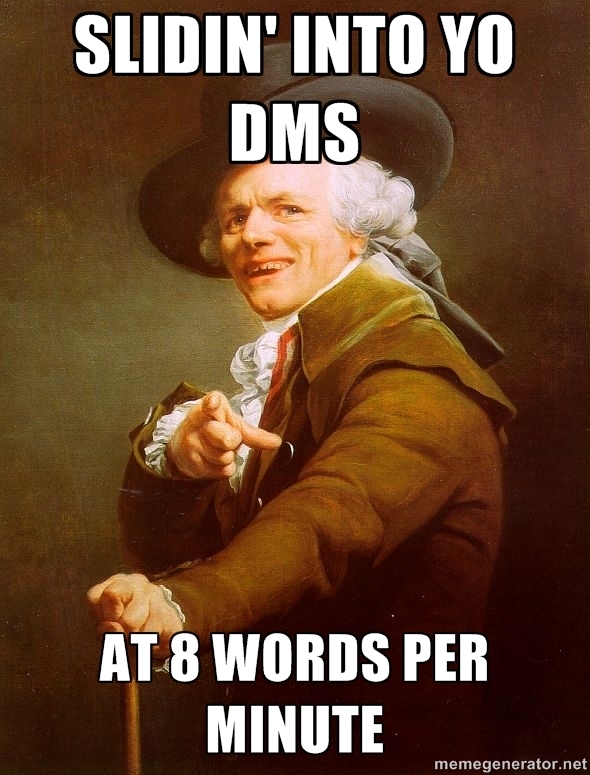 From the then incredible 8 words per minute using the Telegraph in 1866 to the now instantaneous nature of our messaging over the internet our interactions have changed dramatically. The critique of the telegraph claiming that it was “too fast for the truth” definitely mirrors the sentiments of modern messaging methods whereby you’re expected to reply as soon as you receive the message (a frustration that I’ve experienced on both sides). Though it is interesting to consider the advancements that I have experienced in my life short lifetime. From the massive PCs and brick phones Dad had brought home in my younger years, to now having the ability the access the world from my pocket. *The Jospeh Ducreux meme is obviously not being used in the original context, but I do feel works with the caption.